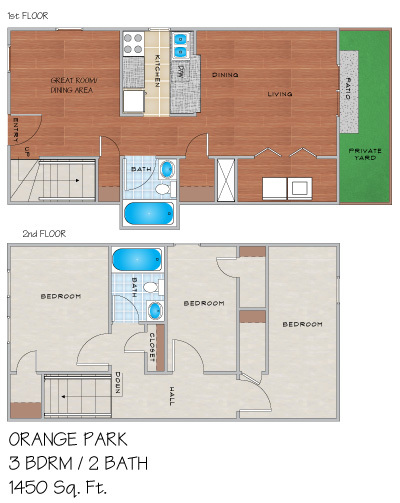 Please send me more information about Orange Park Apartments. At Orange Park you will enjoy a quick and easy drive to downtown New Orleans or you can take a walk to Lafreniere Park! These Metairie, LA duplexes are minutes from Interstate-10. Orange Park's spacious two and three bedroom double homes offer you your own private driveway and free weekly lawn service. 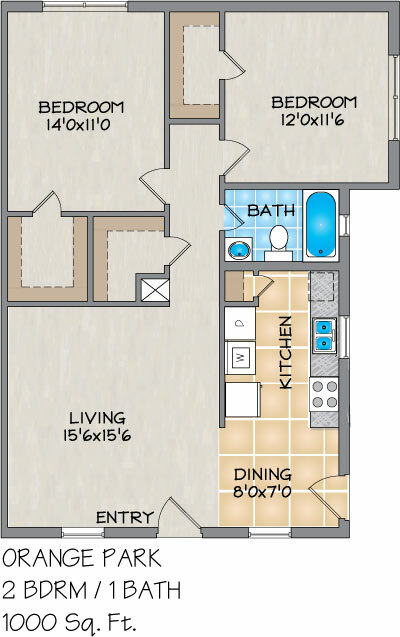 In addition, our three bedroom duplexes provide you with a covered carport with storage. You will enjoy your full size washer and dryer, spacious closets and frost-free refrigerators in all of our homes. The best emergency maintenance and professional management team complement your care-free lifestyle. Also, these private residences have access to our community pool. LARGE PETS WELCOME! 1 Pet: $500 deposit of which $100 is non-refundable, plus $15/month pet fee. 2 Pets: $750 deposit of which $100 is non-refundable, plus $25/month pet fee.